Americans think they have a clear idea of where financial abuse against seniors starts, but they are wrong, a survey from Allianz Life found. 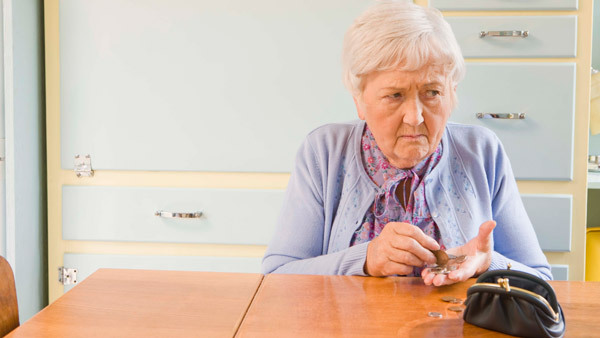 Most seniors who were financially victimized say they knew the perpetrator. Americans think they have a clear idea of where financial abuse against elders starts, but responses from seniors who have been victimized before indicate they’re wrong, a survey from Allianz Life found. The survey of over 2,000 adults 45 and older found most respondents believed the biggest sources of financial abuse were telemarketers and Internet scams. Over half of respondents over 65 and 39% of those between 45 and 64 said solicitations in the mail were a threat. However, of the respondents who reported they themselves had been abused, 52% said it was by a family member, friend or caregiver. One in five said the abuse came from a stranger. Just 5% of respondents over 65 said they had suffered financial abuse, but the survey also found 19% of people in the 40-to-64 range said they have an older friend or family member they believe might have been abused. More than half of those said their loved one didn’t report the abuse. Abuse of the elderly is likely to increase as the population ages. The Current Population Survey put the total number of Americans age 65 or older in 2012 at 41.5 million, and the Centers for Disease Control and Prevention estimate that could grow to around 72 million over the next 25 years or so. By 2030, the CDC expects people over 65 to account for about 20% of Americans. Longer lifespans also mean a greater incidence of Alzheimer’s disease. According to the CDC, the number of people with Alzheimer’s doubles every five years after the age 65. The agency estimates 14 million Americans will have it by 2050. Kathy Greenlee, assistant secretary for aging at the U.S. Department of Health and Human Services, urged advisors to report any suspicion of financial abuse against their clients to the police, their local Adult Protective Services or, if the person lives in a nursing home, their state’s long-term care ombudsman.